Touch Solutions provide practical and complete solutions to all your computer related problem in an economic manner. After a thorough analysis of the issue, our expert techies start working on it with the latest methods and tools to give you a quality service and that too within the deadline. In this way, we are adding value to the IT industry through our offerings, products, and services. Servicing a laptop is a tricky task and you need to rely only on the technicians to execute it. 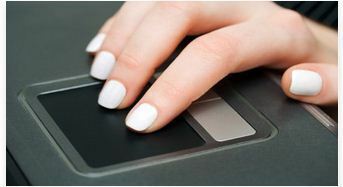 At Touch Solutions, we have skillful technicians to do the task efficiently. Our technicians have the latest tools and gadgets to make the task of laptop servicing as easy as possible. We have all the fundamental gadgets required to service a laptop such as needle-nose pliers, anti-static wrist strap, electrical tape, cross shaped screwdrivers etc. By using these equipments we service your laptop very precisely, so that the customers can use their laptop conveniently. We pioneer in providing the most modern and high quality laptop accessories at reasonable prices. We have a huge assortment of different laptop accessories like adapter, battery, keyboard, RAM, cooling fans, hard disk drives, USB and many more. All of them come with a one year warranty, which means the customers will feel relaxed while enjoying their services. Laptop hardware and accessories are as integral as the system itself, since they determine the functionality of the laptop. For instance, a keyboard or RAM is a vital component of your laptop that enhances its performance, so you have to make sure they are of the highest quality. At Touch Solutions, we have a panel of highly trained expert technicians, who have all the all the solution for your laptop problems under one roof. The team is always ready to provide quick, customized and affable services to all the customers. Since its inception, it has provided repairing services to laptops of different top brands. With everyday use our laptop is subjected to wear and tear. Users often encounter problems like frayed charger cord, cracked notebook case, stuck keyboard, processor, motherboard, bad fan, scratched monitor and many more. We have solutions for all these problems. Our technicians fix all these problems at affordable prices. At first the technicians detect the issues and evaluate the causes of the problem, and then offer their solutions accordingly.